An invaluable coaching session on how to teach all five competition breaks by World Champion Brendan Doogan. The ITF tournament rules for breaking require men to do five techniques, and women three. Men and women knifehand strike,side piercing kick and turning kick. Men also do forefist punch and reverse turning kick. In New Zealand we have been training our athletes break for many years by using padding on the boards as well as hand and foot protection. 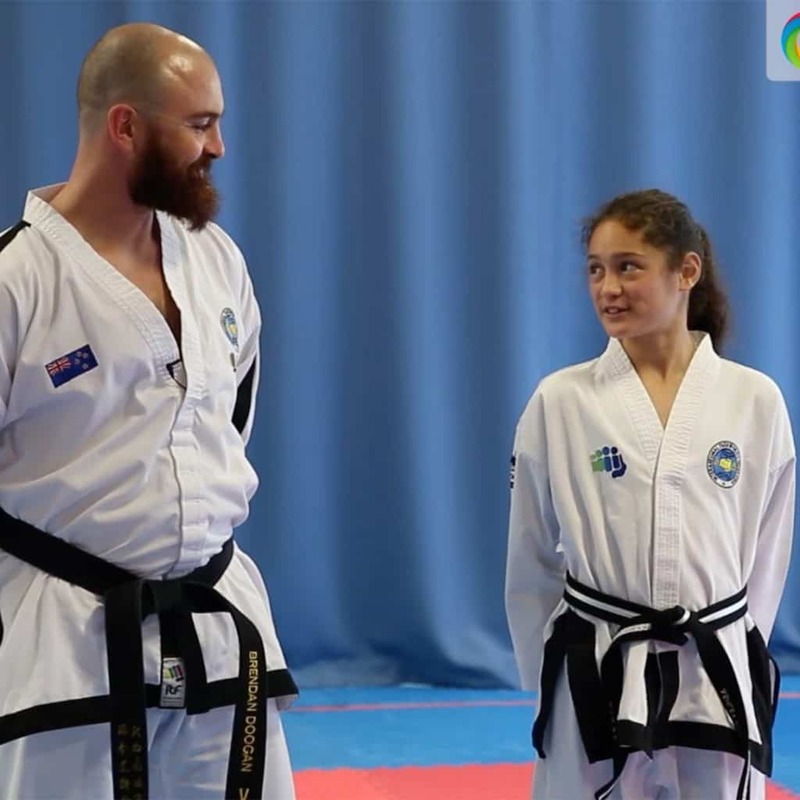 This way the athlete gains confidence at the same time as learning the correct technique. In this coaching session Mr Brendan Doogan takes 1st dan Ashley Porter through all five competition breaks using easily breakable boards to ensure no injury occurs.